The governor's budget includes $722 million in revenues -- including raising the tobacco tax and increasing taxes on hospitals and insurers -- to plug the $830 million funding gap in Medicaid and ensure health care has stable funding over the next six years. 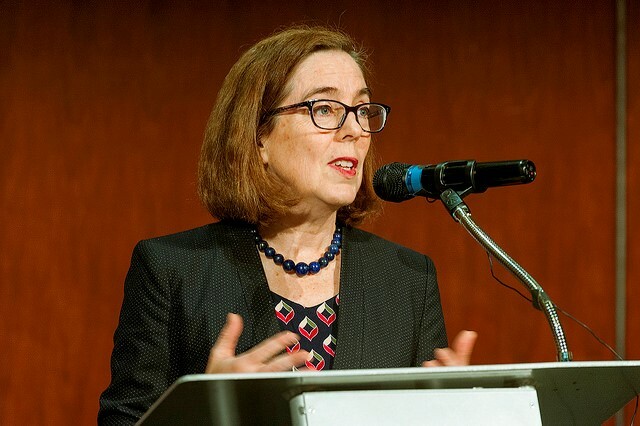 “Governor Brown expects the Legislature to reform Oregon’s revenue system to adequately fund our education system,” said a budget overview released by the governor’s office. The document amounts to a first draft for how Oregon should leverage the state’s general fund and lottery dollars to address the governor’s four main priorities for the 2019–21 biennium: education, health care, housing and climate change. It also includes proposals that stray from those areas. More than $722 million in revenue proposals meant to plug much of an $830 million funding gap in the state’s Medicaid system. Those include increasing Oregon’s tobacco tax by $2 and expanding taxes and assessments on hospitals, insurers and some employers. Brown says the proposal would fund health care in the state for six years. $406.1 million in proposed spending for housing, including $170 million to build or preserve more than 2,500 units of affordable housing around the state. $2.7 million to include prepaid postage for Oregon ballots, eliminating the need for voters to buy stamps if they vote by mail. A $2 billion “investment package” that stands apart from Brown’s formal proposed budget, and charts a course for increasing the length of the school year, decreasing class sizes, expanding access to preschool, and decreasing tuition increases in public universities, among other things. More than past budgets, Brown’s proposal also includes broader policy ideas the governor would like the Legislature to implement or may do herself. Those include an idea to dismantle the Oregon Department of Energy, and create a new Oregon Climate Authority that could oversee a carbon pricing system lawmakers will take up this session. The proposal says Department of Energy programs would continue under the new OCA, until lawmakers and Brown found them a new home. Brown says she’ll allow the state’s Chief Education Office, forged under former Gov. John Kitzhaber, to sunset in June. Its functions will instead move directly into Brown’s office. The governor already directly oversees the agency. Brown is also interested in expanding Oregon’s pioneering “motor voter” law, which automatically registers eligible citizens to vote when they obtain or renew a driver’s license and is credited with increasing voter participation in the state. “This advantage should not just be limited to interactions with the Oregon Driver and Motor Vehicles Division,” the budget proposal says. The governor’s office says it will look into extending automatic registration to other agencies — say, when a citizen gets a hunting license or signs up for the Oregon Health Plan. Brown’s budget proposal reaffirms a commitment to pursue campaign finance reforms she made during a heated re-election campaign this year. The governor plans to land a measure on the ballot in coming years that would pave the way for restrictions on how much candidates could receive or spend. Such restrictions have been deemed unconstitutional in Oregon. Coming as it does after remarkable economic expansion in the state, Brown’s budget includes record revenues from taxes and the Oregon lottery. Current estimates anticipate Oregon will have $23.6 billion to spend next year, a more than $1 billion increase over the current budget. Roughly 80 percent of that funding, $19 billion, comes from personal income taxes. Another 4 percent is from corporate income taxes, and the lottery accounts for 5 percent of revenues. But those rising revenues are not keeping pace with costs — particularly those associated with education and health care. About 50 percent of Brown’s proposed general fund/lottery budget would go to education, and 27 percent would pay for human services. A budget projection issued by state finance officials on Monday predicted the state would have a $623.2 million budget shortfall to grapple with next year. That’s less than the $722 million revenue package Brown has proposed to fund health care. More than $500 million of that would come from extended or expanded taxes on health care providers like hospitals and health insurers. Brown is also proposing an assessment on some employers who don’t meet certain thresholds for offering health care to employees, many of who wind up on the Oregon Health Plan. The budget also assumes the state can collect $95 million by hiking tobacco taxes by $2, to about $3.33 for a pack of cigarettes. Brown says the increase would bring Oregon closer in line with California and Washington. Brown’s proposal is a jumping off point for budget discussions that will play out over the course of the legislative session that begins in January. That session is likely to be dominated by a push for new education funding, which has been in the works well before Brown’s call for revenue reform. This year, a joint committee of lawmakers has conducted a statewide listening tour to determine needs and difficulties faced by school districts. This Joint Committee on Student Success plans to use its findings to propose a package of new taxes and cost-containing measures aimed at fundamentally changing how Oregon pays for K-12 education. Brown was re-elected earlier this month, and Democrats secured supermajorities — necessary for tax increases — in both the House and Senate.